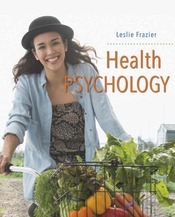 The LaunchPad Solo for Health Psychology offers a variety of simulations, tutorials, and study aids organized by chapter, including Check Your Health activities. These inherently interesting, automatically tallying self-assessments allow students to examine their own health beliefs and behaviors. Try an activity, Is There Too Much Stress in Your Life?, from Chapter 7.